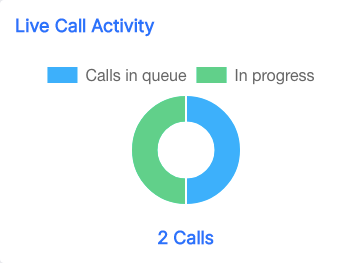 In real time, you will be able to view the call activity for your entire team. You will see both queued and calls in progress at the same time. One chart, 2 informations that can help you lower your average waiting time and assign your users to the right place.